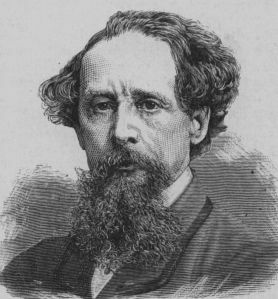 You’ve probably already heard that 200 years ago today Charles Dickens was born. Dickens was one of the first authors I read as a teenager so that might be why he holds a special place in my heart. Like most kids I was most familiar with A Christmas Carol in its various forms. I still think the Scrooge McDuck version is my favorite, what sacrilege! Nicholas Nickelby took me an entire summer to read while I was in high school, Little Dorrit is still my favorite, and I’ve yet to crack open My Mutual Friend. Hey I’ve got to save something for a rainy day! But the whole Victorian atmosphere is what makes me love Dickens. It’s what I think of most when I’ve traveled to London. Even though I love other time periods of English history, it’s Dickens’ London that I think of when I wander through the streets of London. It’s probably his descriptive prose and those spectacular PBS mini-series’ that have seared that time period in my brain. The 200th anniversary is being celebrated in a variety of ways all across the globe in 2012. I have a done a little celebrating myself with a couple of fun purchases. I was very excited about the iPad app I found, Dickens Dark Museum, from the Museum of London. It’s a series of interactive, graphic novels that takes you through the darker side of Dickens’ London. Actor, Mark Strong, narrates these journeys as Charles Dickens and gives a great description of Victorian London. Very cool app! 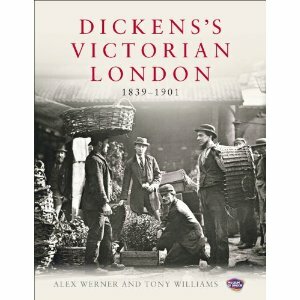 I also splurged on a book, Dickens’s Victorian London, again put out by the Museum of London to coincide with their exhibition. It’s a terrific book, chock full of photos taken during the lifetime of Charles Dickens. It is very cool to see photos of Newgate Prison, Gray’s Inn and Whitehall during the Victorian era. I love this book! So maybe today, to honor Mr. Dickens, I will finally crack open my copy of Our Mutual Friend. Waterlogue has turned me into an artiste! Sometimes I need my mommy!